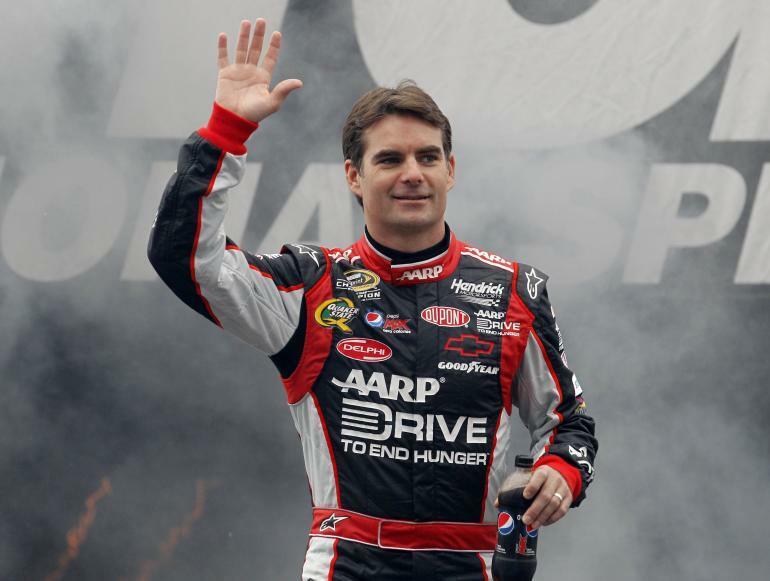 What is your opinion of Jeff Gordon and his chances of winning his 5th championship in his last race? I was a Richard Petty, David Pierson, Cale Yarborough, etc fan in my youth. I then became a longtime fan of Harry Gant. After he retired, I was a huge Dale Jarrett fan for his entire Winston Cup career (that is where the "88" in my username came from). Since he retired I seldom watch any of the races as I don't like the direction Nascar has headed. I used to despise Jeff Gordon. In recent years I have changed my mind about him, and I think it would be very cool and a great storybook ending to his career if he could go out a Champion, a la John Elway. I think he has a great shot and wish him the best of luck, but if he can't do it I hope Harvick gets his 2nd championship. I will be tuning in tomorrow to see. I live in Mooresville North By God Carolina. Jeff Gordon was the young punk in the early 90's. Dale E, Ricky Rudd, Dale Jarrett all those guys couldn't stand him. A true class act and a damn good race driver, one of the best. I remember him driving an F1 car around Indy in 2000. He did a good job too. Afterwards you could see the thrill in his face, just a born racer. I wish him luck tomorrow and hope he wins. Anybody but Jimmy Johnson ..big Dale Jr fans on our house. What the heck happened to Tony Stewert this year. Tony kinda lost his mojo after the "incident". I've known Tony for a # of years. Hellatious open wheel driver. Damn good stocker. He is moving on to a higher level. He and Gene Haas have assembled a fine team. And when the only US based F1 team opens shop... You can say " Hey, I know The Lightman". No sheet Rick??!! Still in NC? No, back in Upstate NY. Currently living in Horseheads, though I consider nearby Corning to be my home town (we moved there from southern PA when I was 3 in 1966). Seems like just yesterday I was getting divorced and needing a car. A cute blonde finance manager talked me into this. 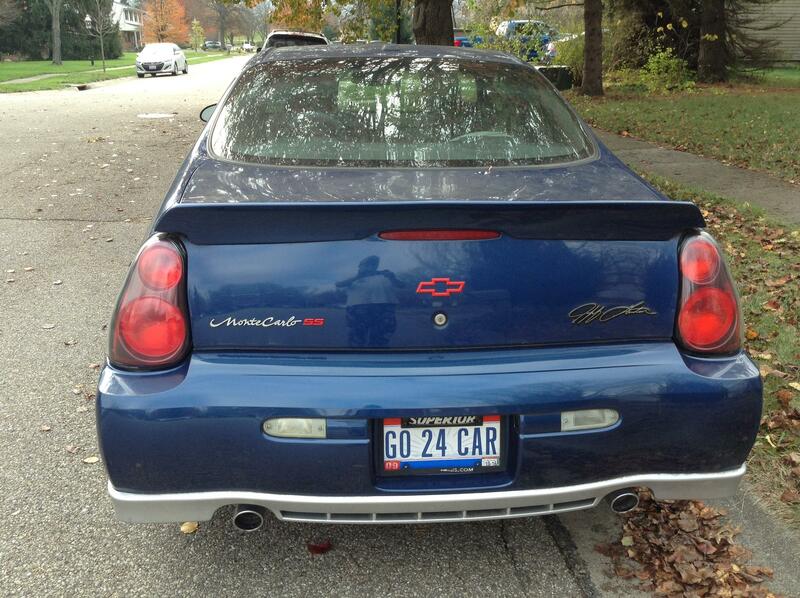 Of course $22,500 out the door for a monte ss helped get me over the fact that it was a Gordon car and I am a JR fan. I hope Jeff wins the championship today. GO 24 CAR! I am more a Jr fan, but would love to see Gordon win this one. Stopped caring after The Intimidator hit the wall. The end of an era. 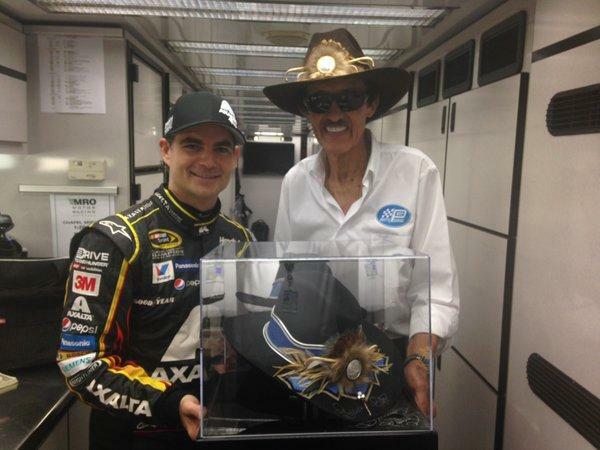 Did anyone see the 2 guys with what appeared to be homemade Jeff Gordon guitars shaped like the number 24? They were cool as heck! Yep I noticed that too bad damn fine gent. Finally, the race will soon be getting underway. 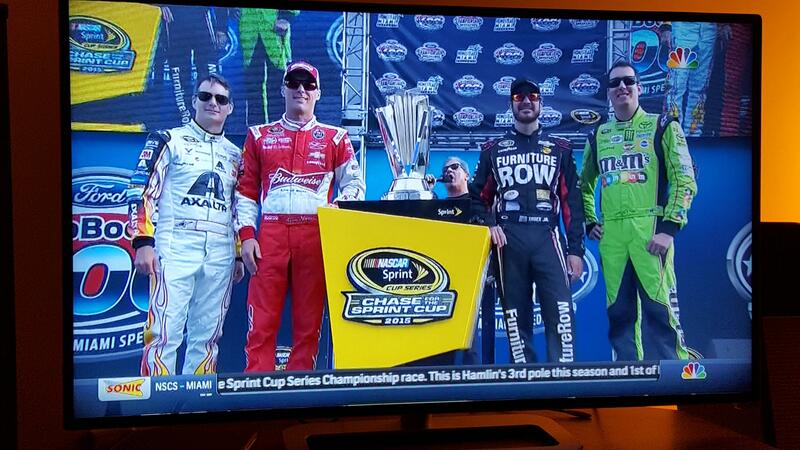 Here are the 4 Championship contenders. Not a big NASCAR fan myself, but I will be for this race. Yep, after that day my interest in NASCAR went sharply downhill too. Once they went with restrictor plates, standardized cars, and other things to slow down the cars, and make the races vanilla, I stopped paying close attention. Wow, what a send off! Too bad he didn't win, but then again, he's got nothing to prove. Went out like true champ.